The light strip is one of the best modifications you can add to your machine. Our light strips come pre-wired for 12vdc. 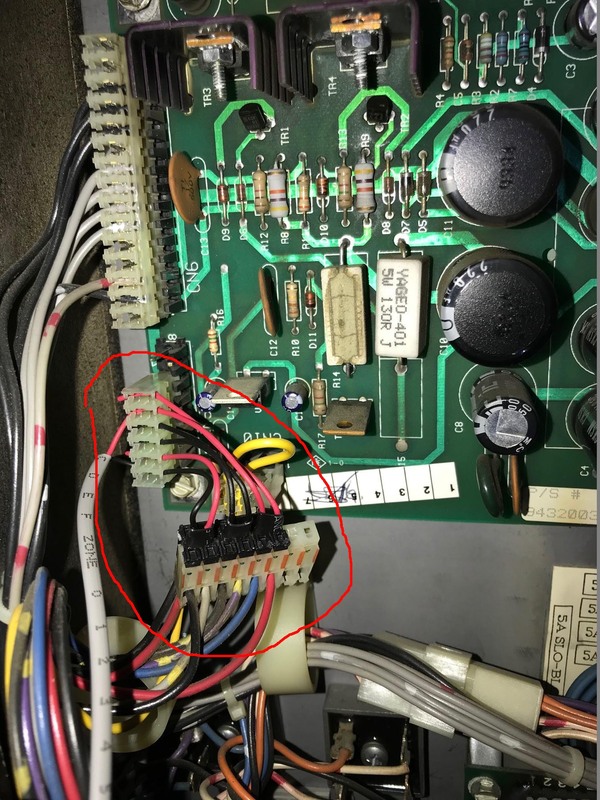 You will need to attach the light strip then run the wires front of the cabinet and use the coindoor plugs available on all Data East machines. Please ignore the fact that Metallica is used as an example for some pictures. These pictures are generic for all pinball machines. The light strip will be mounted pointing down in the very back of the machine. It should point down right in front of the backboard of the playfield. The base of the top of the cabinet has a smooth ledge. This is a good spot to mount the light strip. Another option is to mount it to the bottom of the plastic glass channel. 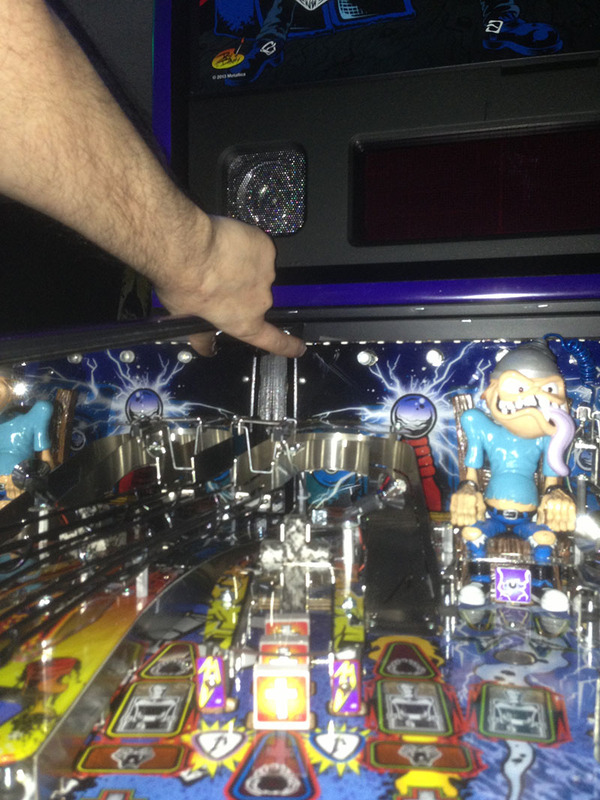 This option sometimes causes some reflection of the lights from the playfield, however. In either case, clean the ledge of the cabinet with alcohol and dry it with a towel. Make sure it's dry in order to stick. Attach the light strip with the wires on the RIGHT side. 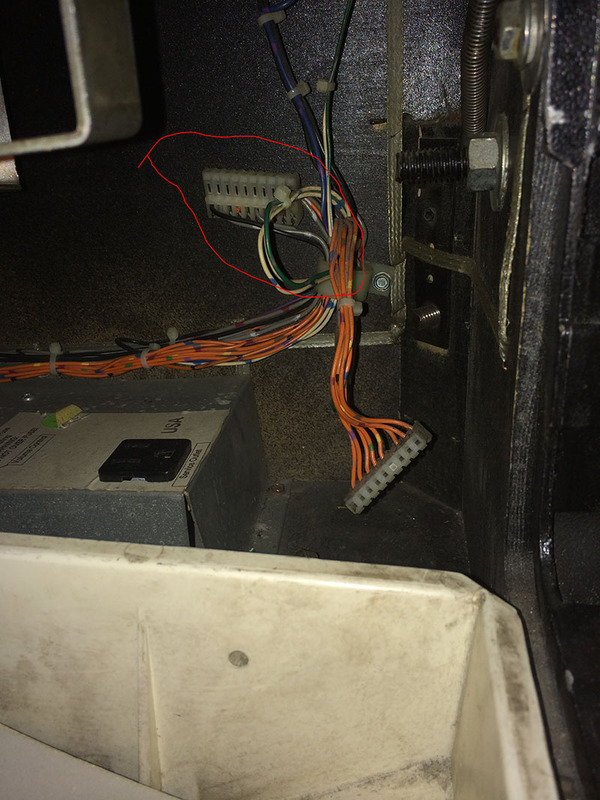 The wires need to be on the right because the coin door harness is also on the right. Run the wires back and down into the cabinet. Note: there are 2 power options here. First is by coin door. Second is CN5 in head. Both are shown below. 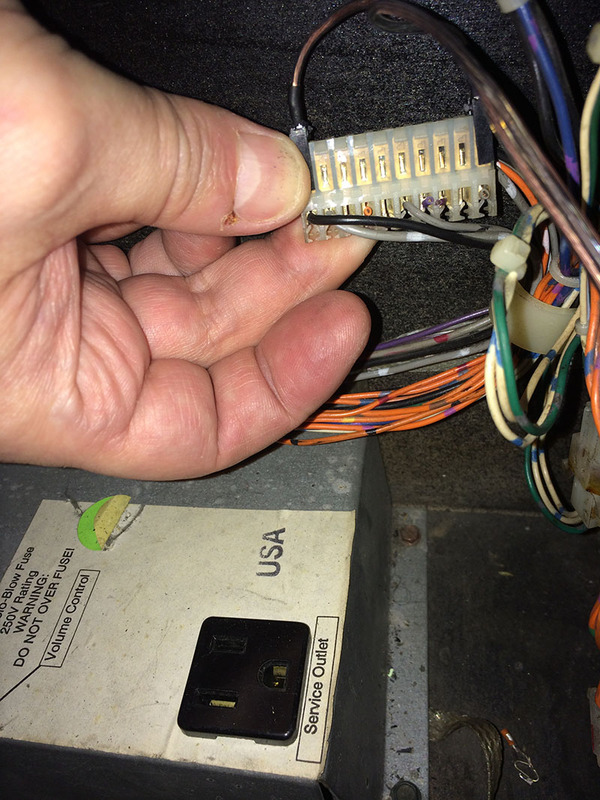 Now we will run the power for the light strip to the front of the cabinet and plug into the coin door 12v harness. The golden wire plug goes to the black wire on the very end of the harness. The silver wired plug goes to the grey wire on the very far other end. These two together provide 12vdc and ground. At this point, you are ready to push the playfield back into position. 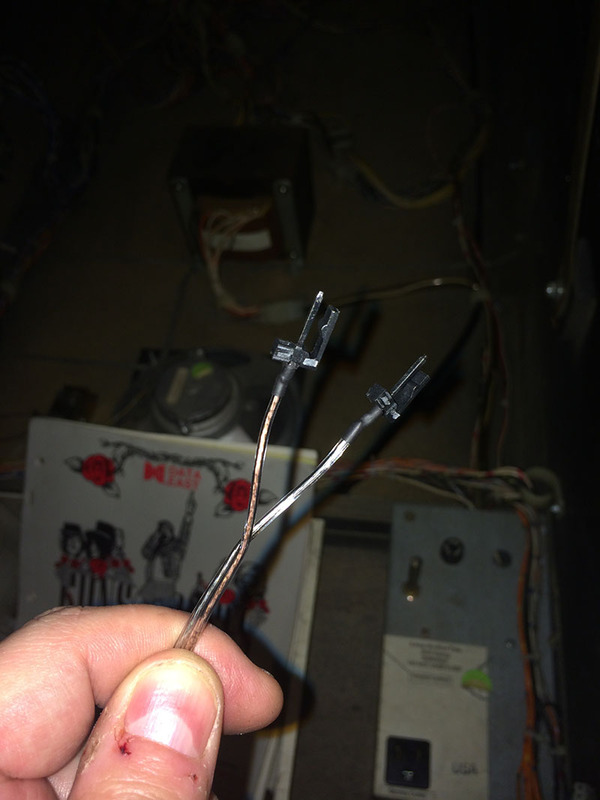 Make sure the light strip wire doesn't hang onto the playfield. 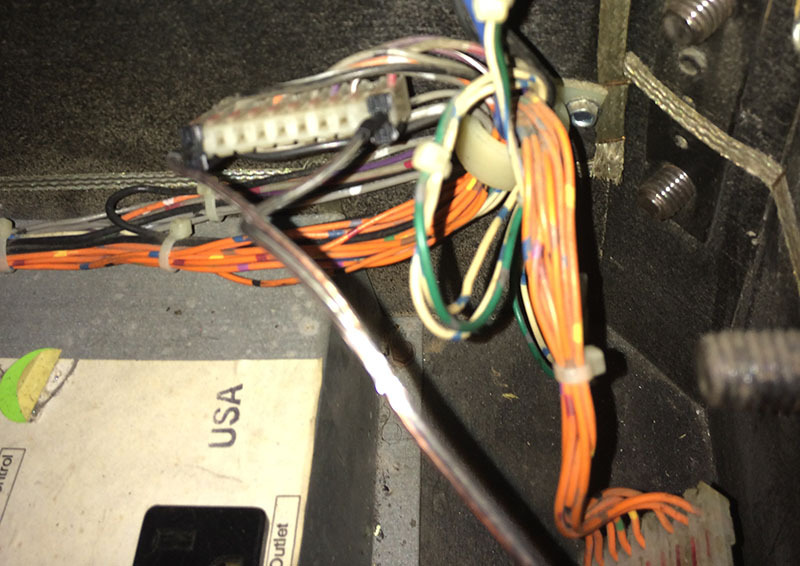 If you want, you can tape the wire back to the back of the cabinet to prevent it from wondering onto the top of the playfield using some black gorilla tape or such. The light strip will power on as soon as the game has power and remain lit the entire time. If the light strip starts to work its way loose, use some black gorilla tape in thin strips to secure it back on. Even if a couple of the leds are covered by the tape, it will not be that noticeable.